You can visit Electronic Sound and issue 31 here (there is also a rather generous introductory subscription offer for the magazine which can be found here). Keith Seatman’s track Curious Noises and Distant Voices from the album was played on the Gated Canal Community Radio show which is presented and compiled by the record labels Front & Follow and The Geography Trip. The show is hosted by Reform Radio and you can find Keith Seatman’s track in some rather fine company (including a mix by IX Tab which wanders amongst the Hidden Reverse sides of music) at Gated Canal’s Tumblr site and at Mixcloud. Max Reinhardt played Grey Frequency’s Ident (IV) from the album on BBC Radio 3’s Late Junction show. Ident (IV) plays around 1:09 and the album is also mentioned around 1:19. 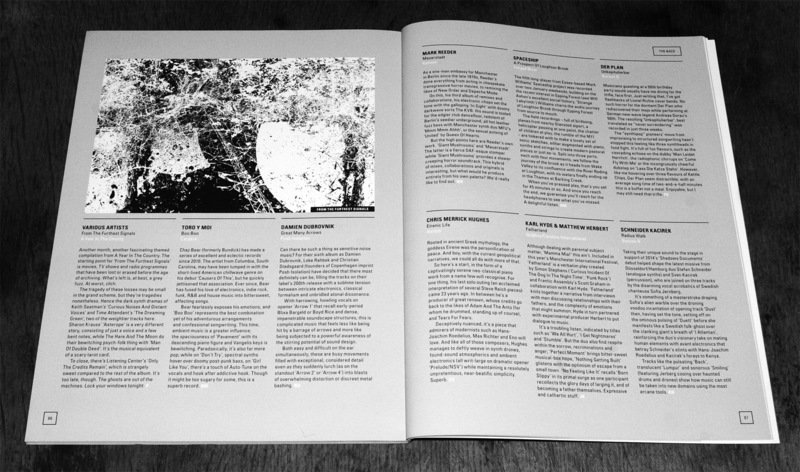 Visit the show here, where you can find Ident (IV) also in some fine company (including Anne Briggs, whose work is much appreciated around these parts). Sunrise Ocean Bender played Polypores’ Signals Caught Off The Coast on their radio show, alongside the likes of Helios Creed, UFO and various wanderings amongst underground and space rock. Originally broadcast on WRIR FM the show featuring the track can be found at Sunrise Ocean Bender’s site here and also at Mixcloud. Kim Harten reviewed the album at her site Bliss Aquamarine, where her indepth consideration of the different tracks can be found alongside an earlier review of The Restless Field. Visit those here. Thanks to all involved for their ongoing support: Push, Neil Mason and all at Electronic Sound, Justin and Rob of Gated Canal Community Radio, Max Reinhardt and all at Late Junction, Kevin McFadin of Sunrise Ocean Bender and Kim Harten of Bliss Aquamarine. Not forgetting those whose music is included on the album: Circle/Temple, David Colohan, Sharron Kraus, Time Attendant, Depatterning, Sproatly Smith, Field Lines Cartographer, Grey Frequency, Keith Seatman, Polypores, The Haren And The Moon, Pulselovers and Listening Center. It can be ordered at our Artifacts Shop, Bandcamp and Norman Records. 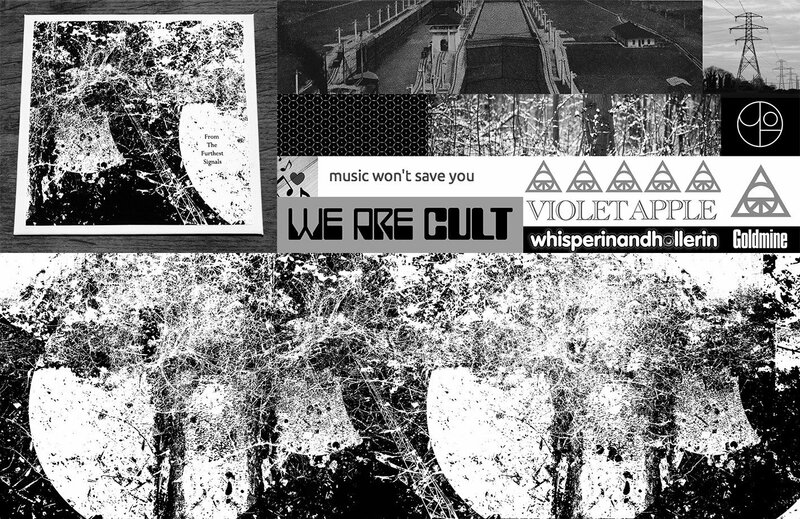 Other reviews and broadcasts etc of the album by Music Won’t Save You, John Coulthart, Violet Apple, Dave Thompson at Goldmine/Spin Cycle, We Are Cult, Whisperinandhollerin, Flatland Frequencies and More Than Human, alongside earlier broadcasts by Gated Canal Community Radio and Sunrise Ocean Bender can be visited around these parts here.